Kirtish Bhatt, in BBC News Hindi, plays on the word ‘ganatantra’, which means ‘republic’. 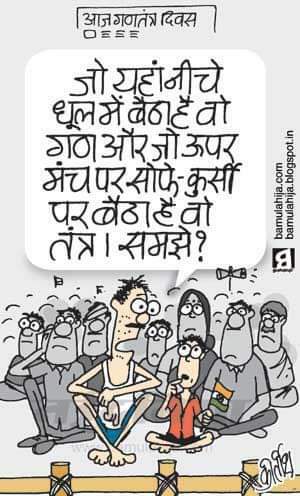 Republic means a country where the people and their elected representatives hold the power, but the cartoonist suggests a different meaning, where the ‘gana’, or the public, sits on the ground while the ‘tantra’, or the administration chosen by the public, takes a higher seat. 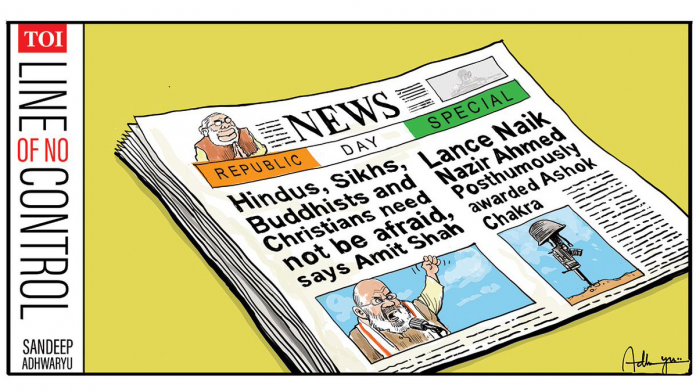 In The Times of India, Sandeep Adhwaryu weighs in on BJP president Amit Shah’s recent remarks that Hindu, Buddhist, Sikh and Christian refugees in India need not be scared – remarks notable for the omission of a particular community. Arvinda Tegginamath seeks to dissect the award of Bharat Ratna to former President Pranab Mukherjee. 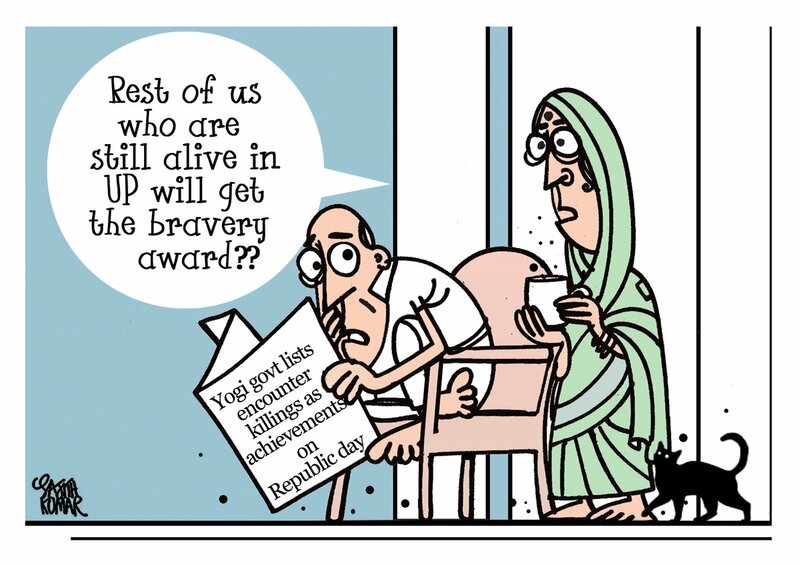 In Deccan Herald, Sajith Kumar takes a dig at the decision of the Yogi Adityanath government in UP to list encounter killings among the achievements to be publicised on Republic Day. 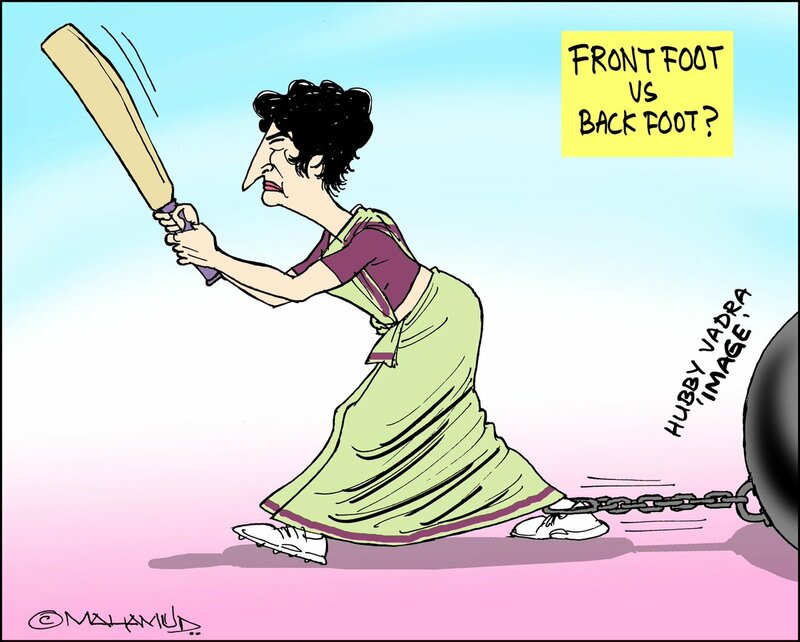 Mahamud suggests Priyanka Gandhi, the newly crowned Congress general secretary who is expected to help revive the party in UP, may face a hurdle in the allegations of wrongdoing against husband Robert Vadra. 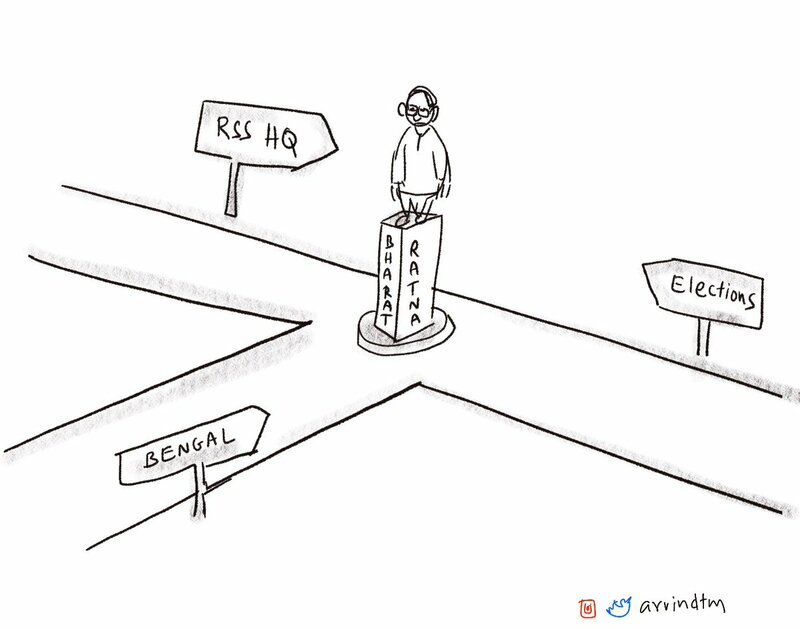 Manjul, for Firstpost, weighs in on dynasty politics. 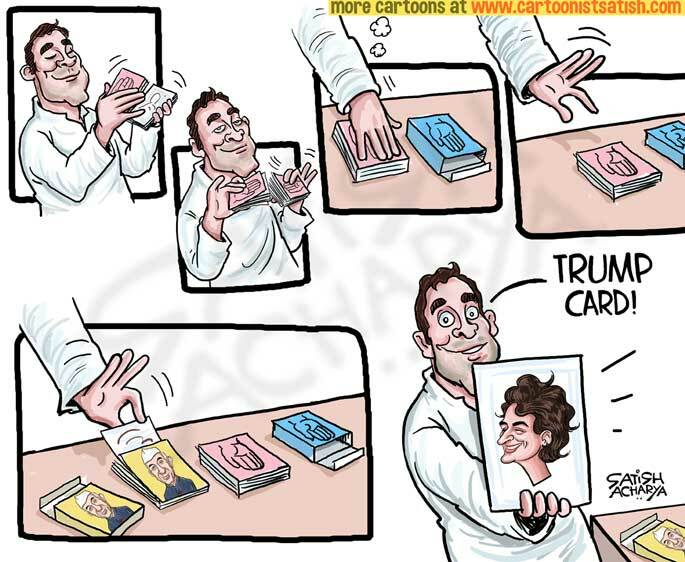 The launch of Priyanka Gandhi into active politics has been described by observers as the Congress playing its trump card ahead of the Lok Sabha elections. 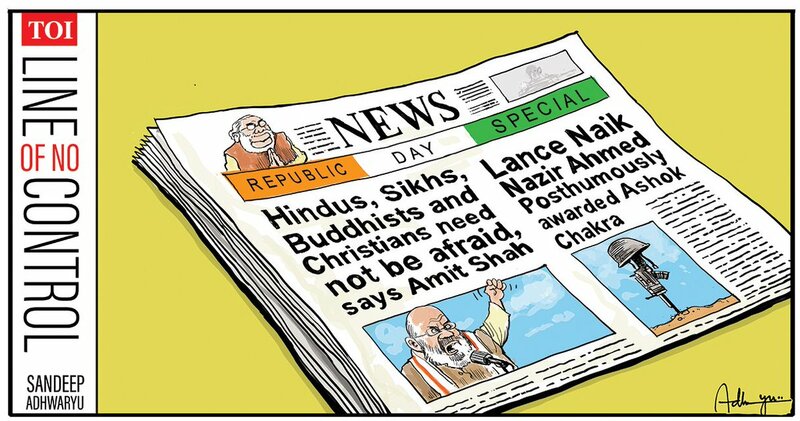 Satish Acharya weighs in.